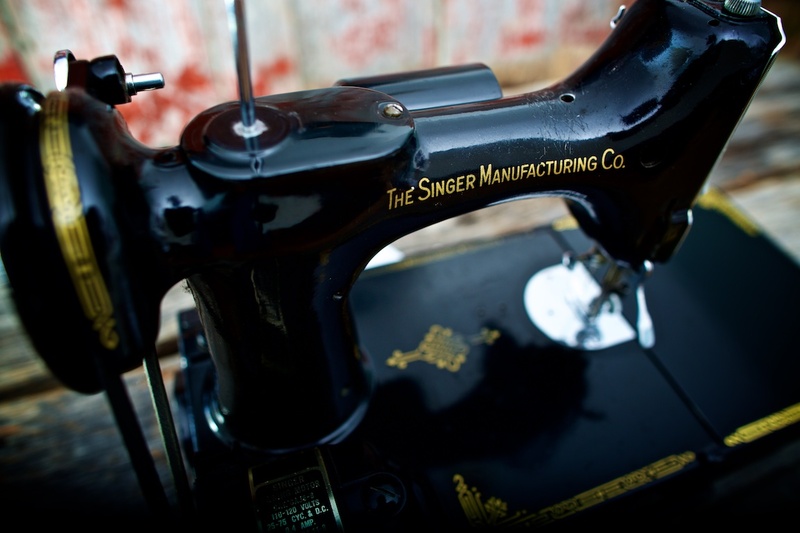 Here’s an old Singer Sewing Machine. It’s a cool little unit and I was hoping it would help me with my lighting because of its reflective surfaces. I shot this particular photo with a wider lens and a shallow dept of field. Actually, I shot a ton of pics of this machine at various F stops, crazy lighting combinations and a myriad of camera angles. I really liked this photo though as the subject “Filled the Frame”! The real challenge was keeping the light from reflecting right across the print. After some experimenting I finally got though.